There are a few things that I look forward to as much as I am looking forward to Christopher Nolan’s “Interstellar” - which hits theatres on November the 7th. 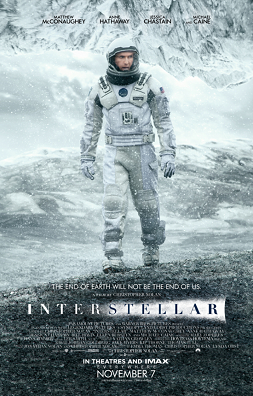 The trailers of the movie culminated my excitement to orgasmic proportions for two very specific reasons: the movie is about interstellar travel (some fascinating stuff there) and Christopher Nolan is the director of the movie. Latest Oscar decorated actor Matthew Mcconaughey features in the leading role which is a major plus, but I wouldn’t care much even if Nolan signs Uday Chopra for his next. After all Nolan is the real deal in all of his movies. Big fan here! will see how we are doing in the name of interstellar travel as of now. I am inside this train, this train that will take me far away. I know where this train will take me but I can’t know for sure. Yet it doesn’t matter. You know why? Because, we are all together and this is what we have been programmed for. Isn’t this how we all feel every day commuting in trains to catch our jobs? Jobs that need to be done to afford a life for us, our families and most importantly to feed our socialistic egos. It is about time when i get down the train.